Since the announcement of President Barrack Obama’s visit to Kenya, there has been talk and discussion of a massive network outage. Kenyans speculated that the visit will lead to the forceful jamming of the mobile networks by United States authorities as a security precaution. With these reports rife on both social and mass media, many like Martin Gicheru of Techweez, went ahead to hoard airtime in their bunkers just in case the secret service ordered Safaricom to cease selling credit. To allay these fears, Safaricom has, through a blog post on its website, sought to assure customers that there will be minimal disruptions. The telco acknowledged it had taken various measures to avoid a situation where the Global Entrepreneurship Summit affects the general operations of the company’s customers. Among the measures taken include the optimization of its network in various areas where the attendees of the summit will be located. The company also upgraded its fixed data capacity to facilitate the streaming of the event. This means there will be limited strain to network resources due to the huge influx of visitors within Nairobi and customers are assured of continued service. 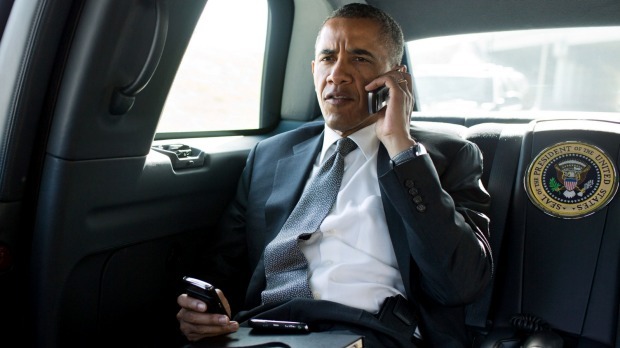 Safaricom also said it recognizes the fact that President Obama is the most protected individual in the world and thus some of the security measures undertaken by his team will include the temporary jamming of mobile signals close to where the President will be at any given time. The disruptions will however be sporadic and not a hotbed as speculated.